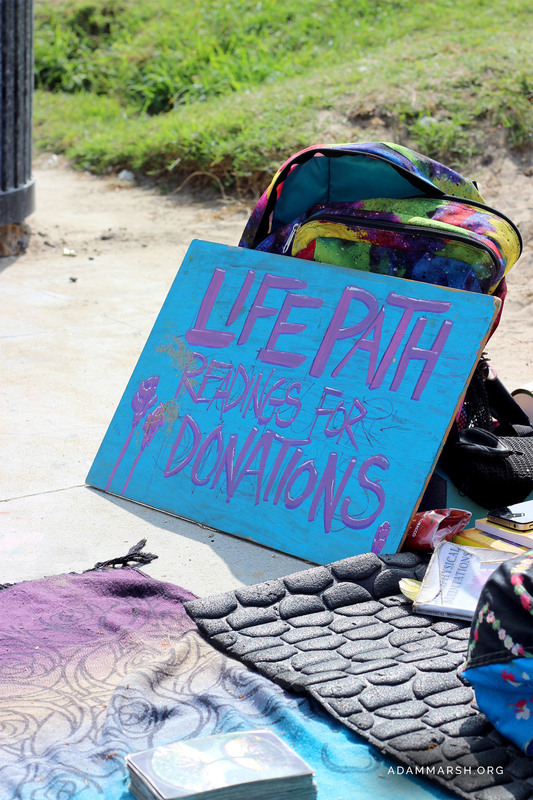 Jaysi gives life path readings in L.A's Venice Beach Boardwalk. She talks about her greatest struggle and biggest achievement. ''The happiest moment of my life was probably being in Maui last year for my birthday, I’ve traveled over 20,000 miles last year. My greatest struggle? - my addictions, I’m down to all natural tobacco and coffee (laughs), so I went through all of them and thats been my greatest struggle but also my greatest blessing too as it made me a much stronger person.